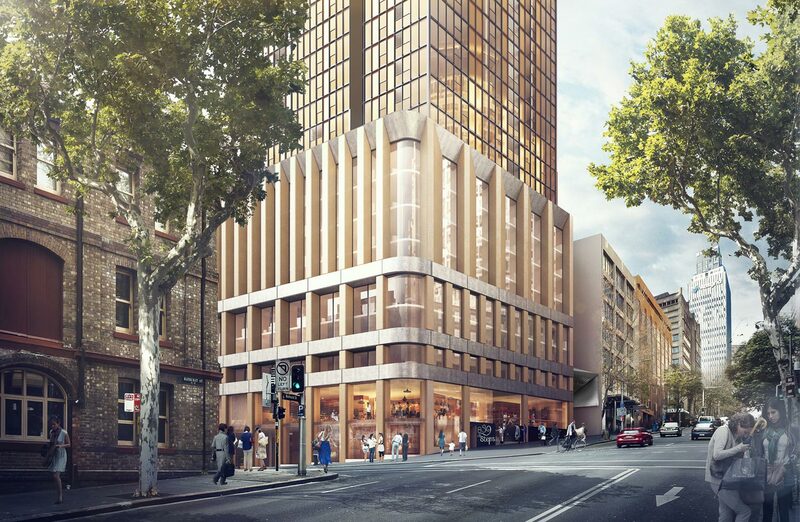 Tzannes, in consultation with the City of Sydney planning staff, prepared the Stage 1 DA Concept Design for a new mixed use development comprising of a multi storey below ground car park, retail uses on Bathurst and Sussex Street, and hotel and residential accommodation above. 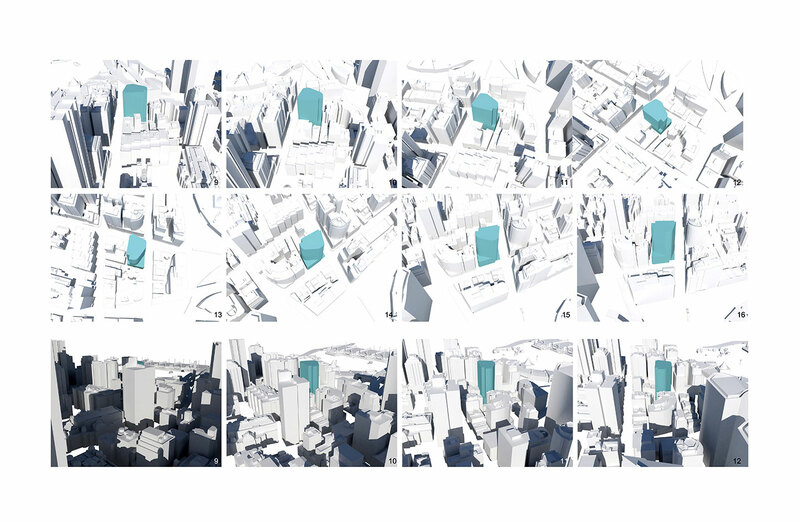 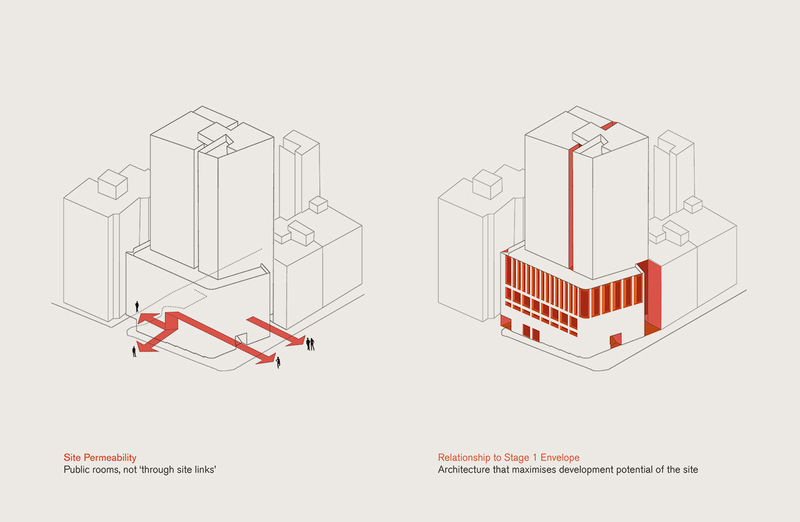 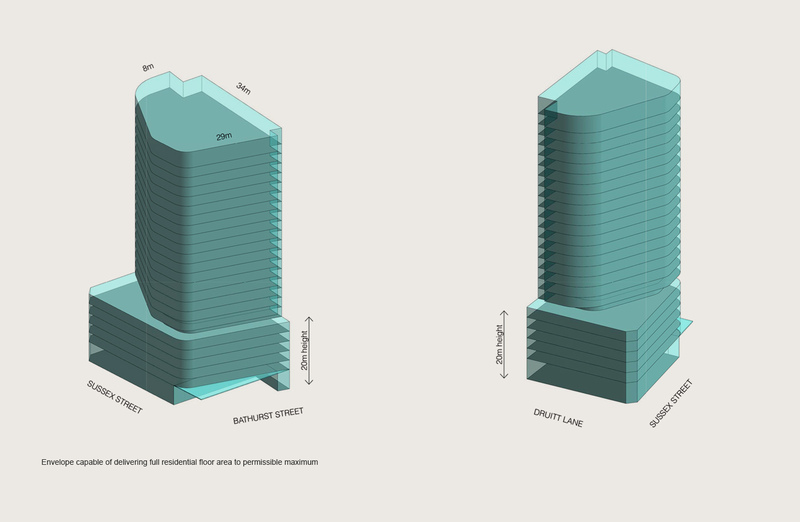 Responding to the sites constraints, the proposed building envelope enables mixed uses, activates the ground floor enhancing the public domain and creates a generous opportunity for an articulated iconic building form. 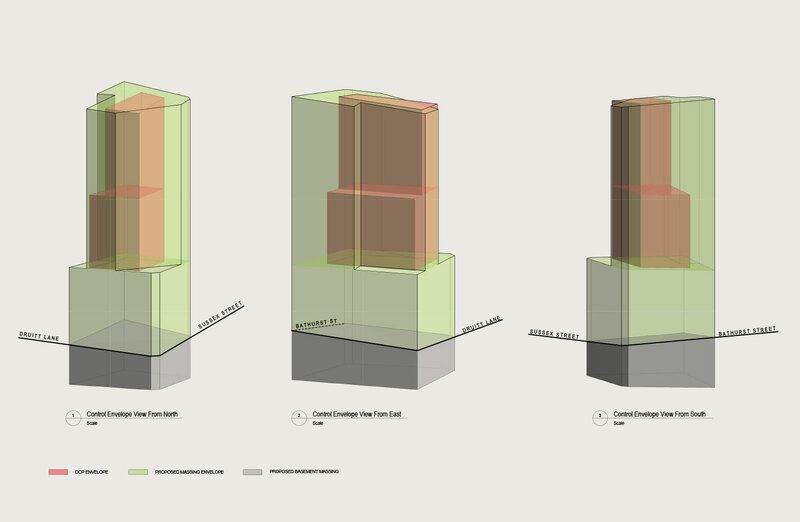 The approved envelope of the Stage 1 DA Concept Design enabled creative architectural responses in the Competitive Design Alternatives Process, capable of complying with the height control, floor area control and which fit within a system of side setback lines derived from the DCP, SEPP 65 and site specific amenity and impact analysis. 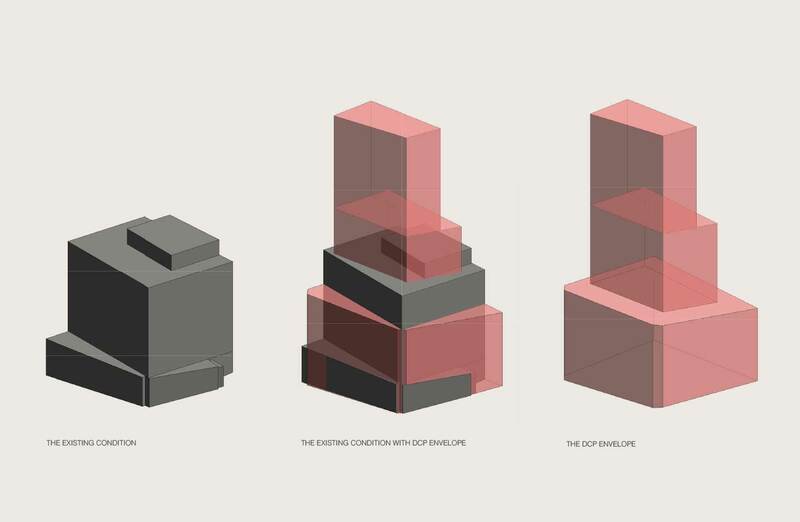 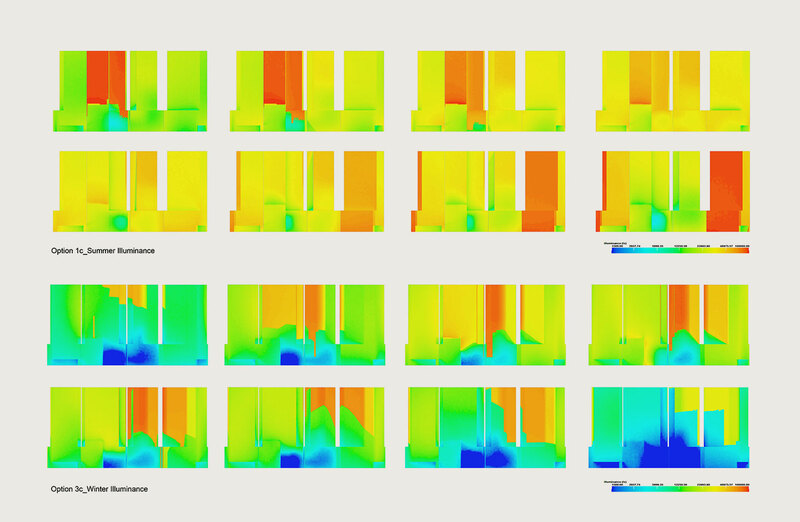 Tzannes architectural response in the Design Excellence Competition that followed was based on articulating the two major uses of the development as separate but related structures. 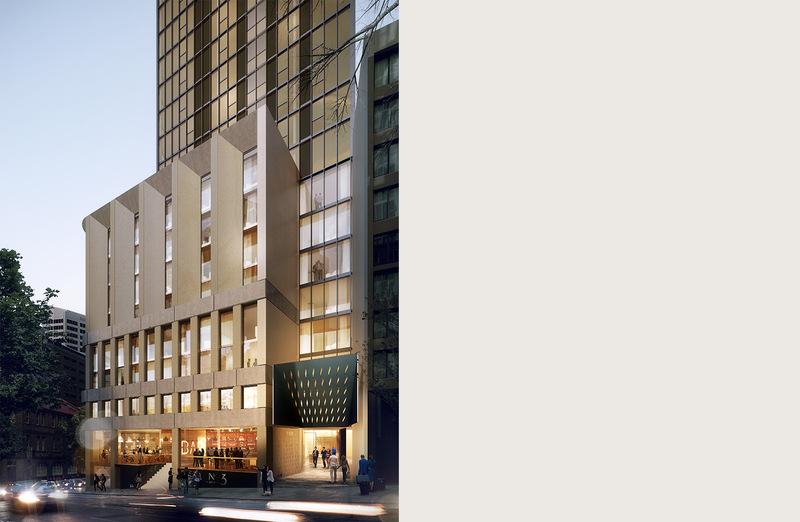 The lower level boutique hotel was designed in masonry and detailed to complement the character of the existing built form including nearby heritage items. 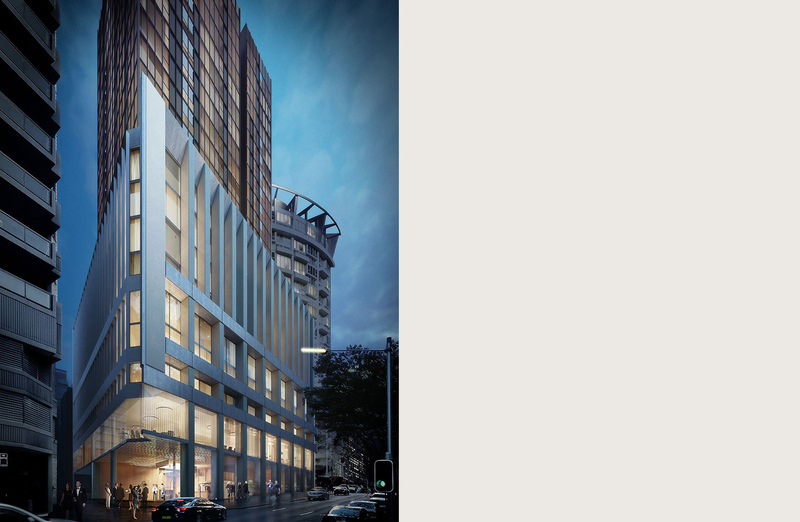 The apartments above were designed in glass and aluminium reflecting the character of the better apartments in the area including Lumiere. 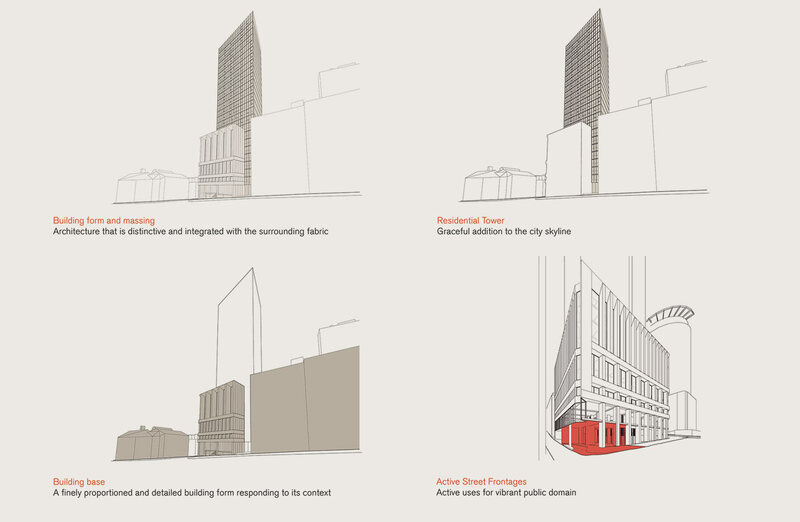 The architectural façade detail and internal planning successfully mitigates negative impacts on adjoining properties and was defined by the Stage 1 DA Concept Design approved envelope.